Home > News > New Arrivals > Spring Annuals Are Now In Stock! There is no question about it, Spring 2016 is in full swing in STL! It’s about that time to start beautifying your landscaping with a unique splash of color that only Annuals can provide. “But where should I get them?”… The answer is Schmittel’s Nursery. 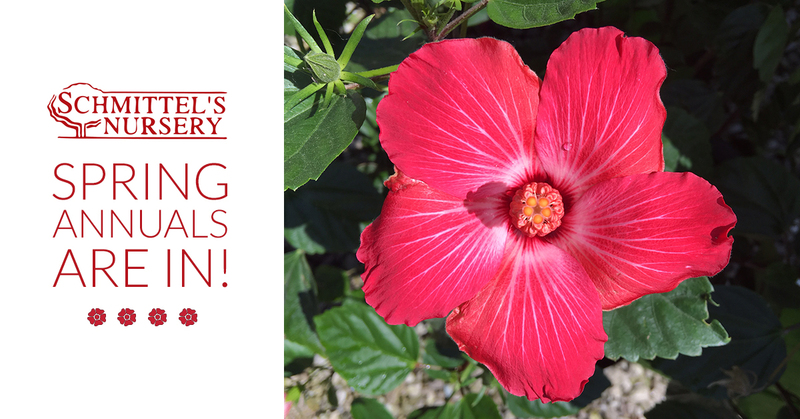 Come on out to our St. Louis area nursery to browse our Annual inventory yourself. We are located 2 miles north of the Page Extension on Maryland Heights Expressway (or 141). PS: We also have quite a few special offers going on too… be sure to take advantage!